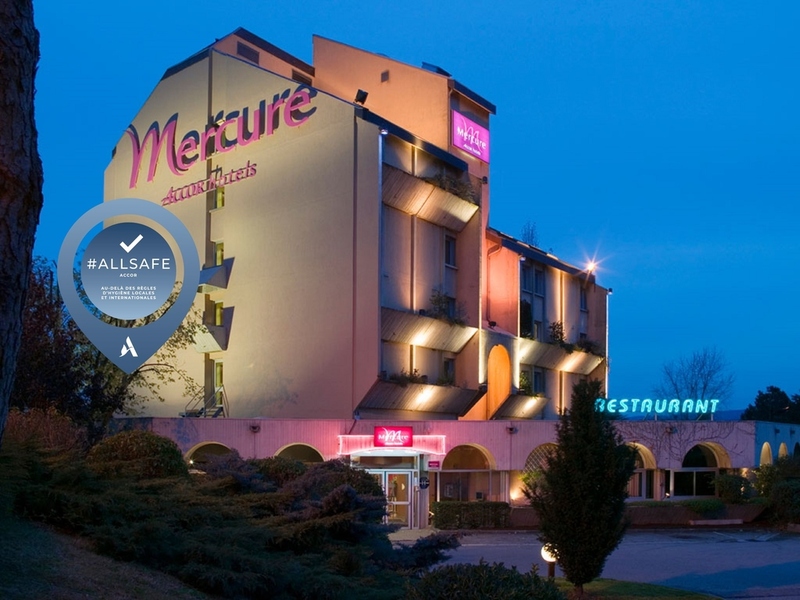 Located 40 km south of Lyons, ten minutes from the Renaissance chateau of Roussillon and 15 km from the Peaugres Safari Park, this Mercure hotel is ideal for discovering the region. This address will enable you to play golf nearby. Take a moment to relax in our spacious and comfortable rooms. In colorful surroundings, dotted with green plants, the bar is open for cocktails from 10am to 11pm. Very welcoming, comfortable and professional! Having previously stayed in 4* hotel for 4 nights in Paris I was surprised how basic this hotel was in comparison. I will also mention that the escape stairs were filthy and materials were stored on the stairs, gladly no emergencies! Hotel was clean enough, staff friendly enough and the room comfy enough but just did not have the feel of a **** hotel to me. Some renovations which lowered the standard. Restaurant closed ‘not in season’. Was very disappointed about this. Reception was not bad but also not particularly friendly. Could have been better overall. Very welcoming, clean and helpful! V nice breakfast with plenty of choice! Arrival was ok, chamber ok, meal was taken in resto next door. Petit-dejeuner ok. Check out ok. Basicaly it was a just a good bed and bathroom we needed after a long day. Check in not quite as friendly as usual. Nice but nothing special. Check out next morning with a big smile. Disappointed that restaurant is closed on Sundays. Unless I missed it I didn’t see this in hotel description. It really should be mentioned. Good thing there’s a place to eat right next door. Otherwise pleasant stay and will be coming back. Very welcoming, clean and comfortable hotel, very professional! Overall great. Very welcoming , excellent food, very clean. Excellent in all aspects exept for bathroom which I think was designed for disabled people consequently we had a wet room shower and the toilet was so high my feet were off the ground!!!! Good hotel that is well located next to Sortie Chanas, ideal for stop-overs or for excursions to the Ardeche area. Good organized and clean hotel with helpful and caring staff. Comfortable room but could not connect to the “open” WiFi network on any of our devices. This caused us problems. The receptionist’s suggestions were unhelpful. The breakfast buffet was good, delicious bread, croissants and brioche. But the bacon was fatty and not crisp and the scrambled egg a stale, solid mass. We’ll probably stay in Campanile next time: half the price, WiFi functions and we don’t need extras such as the minibar. The two girls in receiption were more interested Innigkeit computers than their guests. We did enjoy enjoy your hotel and would have marked you higher if the receiption would have been as friendly as the Assistant Manager who immediately helped with our parking ticket problem. This was not my first visit to the hotel and if I am working in the area I will certainly stay again. The staff are very friendly and helpful. On my previous visit update work was being carried out to reception. This was carefully planed and caused no problems the last time I stayed and it was nice to see the finished results on this visit. As ever rooms cleaned to high standard and overall hotel is very well maintained.